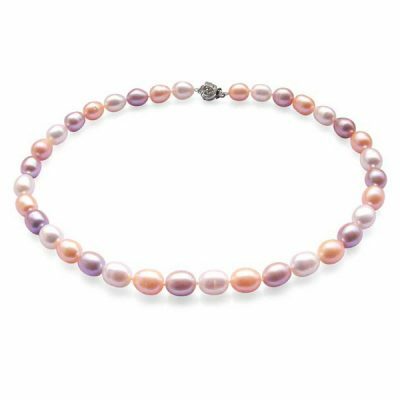 Another of the season’s favorite necklaces is this 8-row convertible pearls necklace. 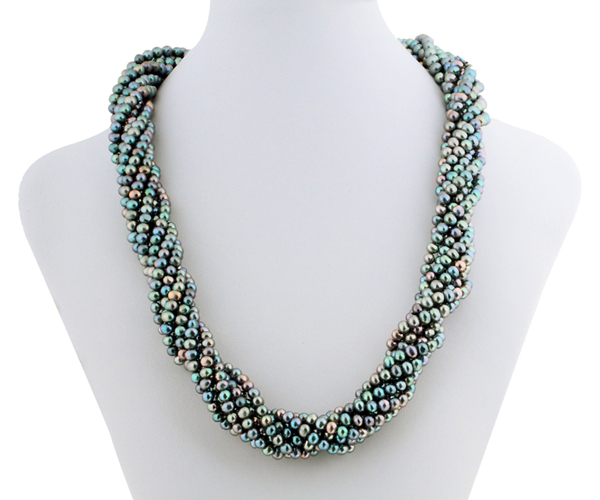 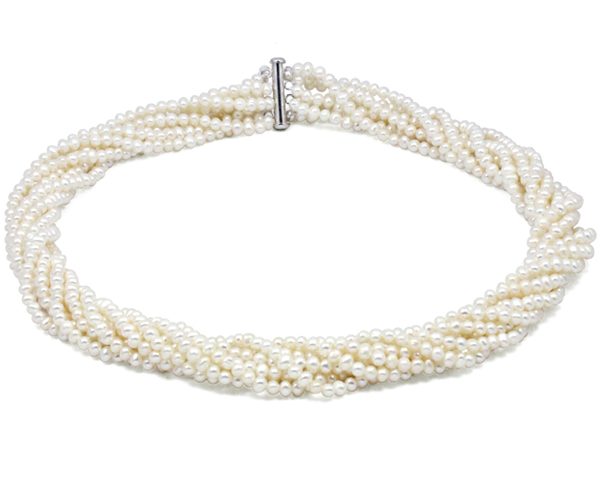 The “Twister” design uses eight rows of 3-4mm pearls that can be wore twisted or loose. 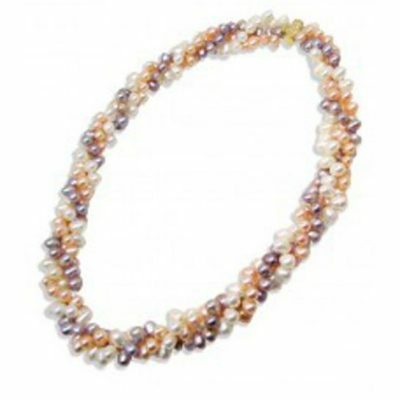 This elegant pearl necklace is made with 3-4mm AA+ semi-round pearls and a 925 pure sterling silver clasp. 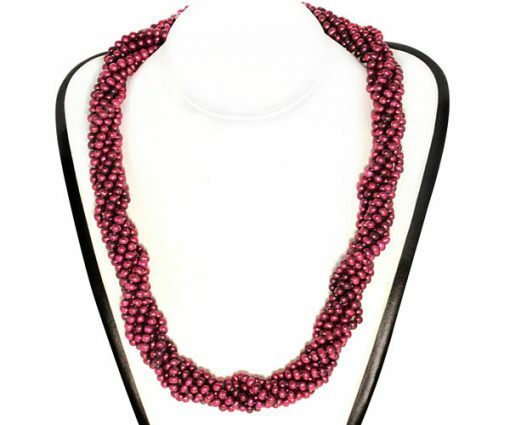 The necklace has a length of approximately 22in long when it lays loosely and 21in long when it is twisted. 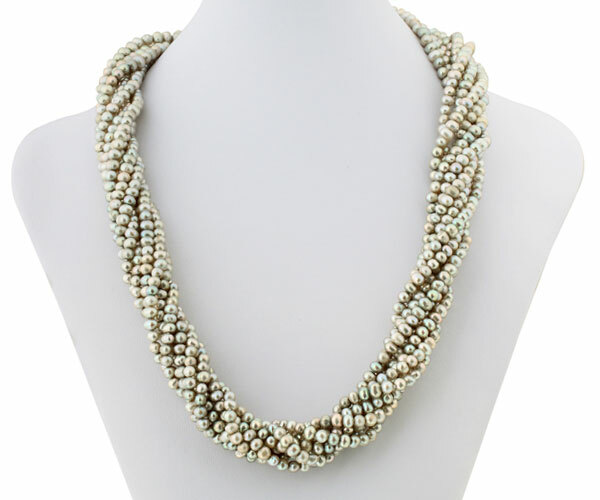 It is finished by a 4-row silver tube clasp to keep it safe and looking elegant. 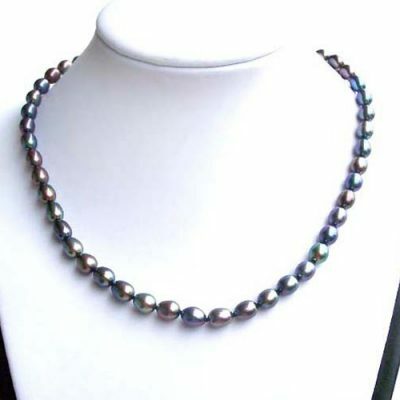 The total weight of this necklace is approximately 89 grams. Grey, black, white and cranberry pearl necklaces are available for immediate delivery.